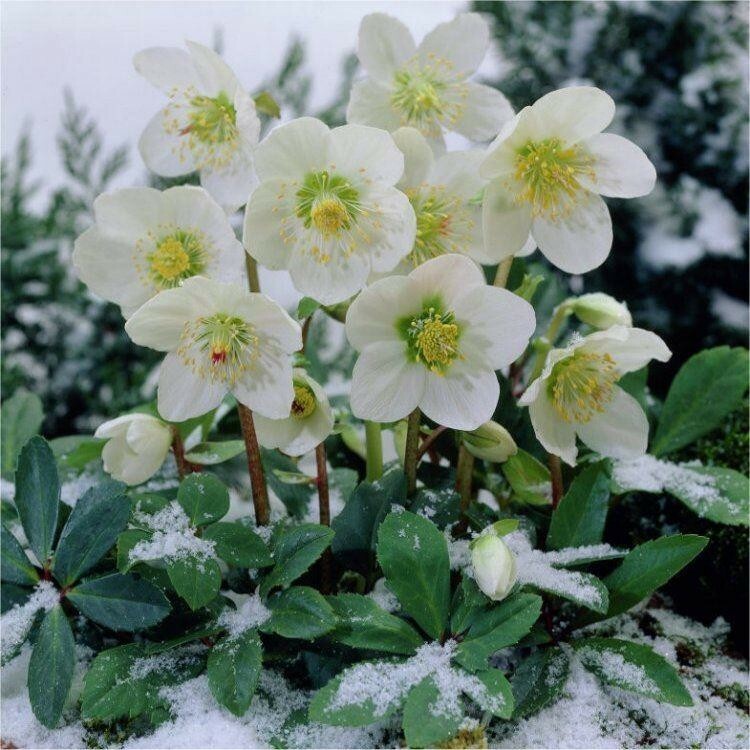 Helleborus niger, also known as the Christmas Rose because it starts blooming in winter around the festive period is treasured for its pure white flowers with golden stamens that act as beacons of light in the garden during what are often the coldest months of the year. They'll even shrug off ice and snow! 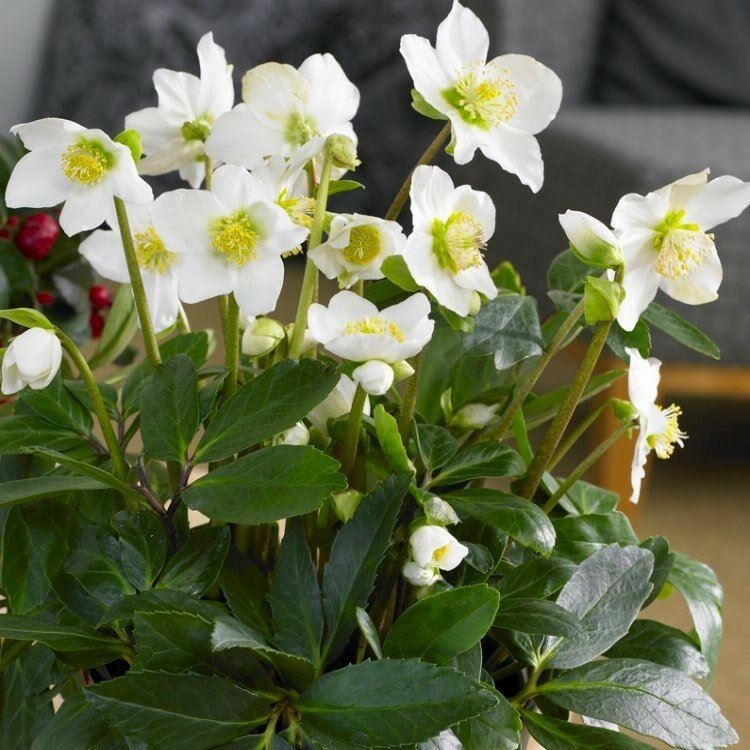 Supplied in bud/bursting into flower, these Hellebores make can be planted in the garden or patio planters to flower every year right when things are normally looking at their bleakest. They can also be used right now indoors as a cheerful flowering pot plant before you move them outside. The wonderful, often pink-flushed, white, bowl-shaped flowers will keep going right up to April, whilst the leathery, dark green leaves will remain all year. In former times hellebores were a part of folk-law and planted close to cottage doors to prevent evil spirits from crossing the threshold. Probably the earliest flowering garden plant every year, it's perfect for brightening the front of a partially shady mixed border. Top Quality bushy plants are supplied in approx 1 Litre containers, full of buds and bursting in to flower, these really are outstanding value for money. Perfect for adding brightness and garden interest when little else is showing colour, plant these now to guarantee the beautiful flowers every winter.